Chain partners have been working together to provide point of sale material at supermarket level, and to foster chain relationships to the retail sales level. The opportunity arose to seek further ideas from the retail chain at the European Seafood Exposition in Brussels, Belgium. 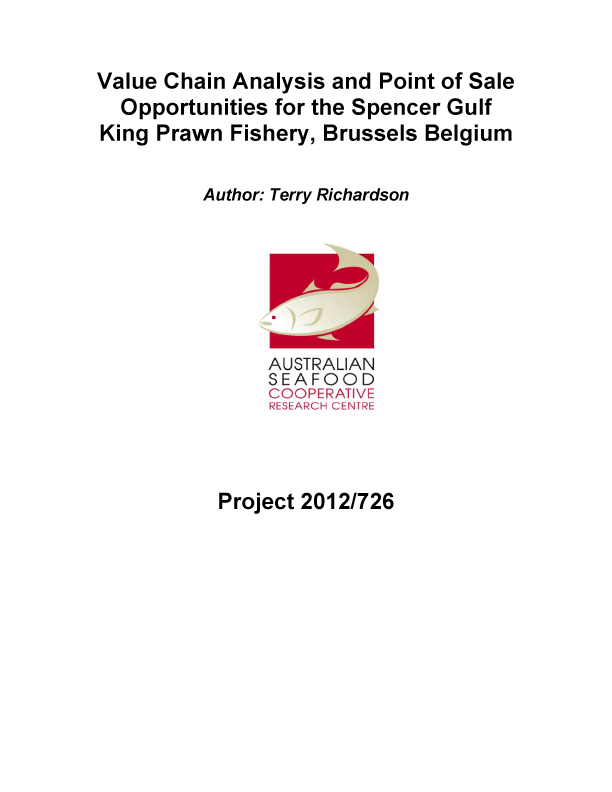 Seven key interviews were held with representatives involved in the prawn industry in Europe. The companies represented were importers and distributors, re-processors or retailers. · Provide a closer relationship between the supplier and the individual stores. This could in turn direct sales activities where most product is purchased and could focus on low consumption areas to increase consumption.